Home » Printable Coupons » New Extensions Released! I have some good news. After a couple of months testing today 4 new extensions have been relased. Product manufacturers – it allows you to define manufacturers/brands and attach them to selected products. Quote Cart – this is a store like extension however it is designed for products without price. Now you can get quotations for multiple products at a time. Printable Coupons – it allows to generate coupons for products and sell them directly from the website. Product Locations – if your products are managed / stored from multiple locations this maybe an extension that you are looking for. It allows to define multiple product locations and assign products to them. It results in contact form generated on each product page. 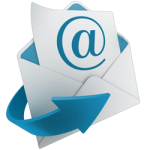 The contact form is connected with certain location and its email address. What do you think about those new extensions? How do you like them? Norbert specializes in web development and Internet marketing for over 8 years. He is best known as the founder of impleCode, WordPress developer, SEO & Usability fanatic. ← eCommerce Product Catalog 2.3.0 is out! Hello there, You have done an incredible job. I’ll certainly digg it and personally suggest to my coworkers and friends. I’m sure they’ll be benefited from this incedible extensions. Hello there! I simply want to give you a huge thumbs up for manufacturers extension. It’s great timesaver! I hope you understand what I mean, thank you again for this plugin…. Hi, thank you for your bug report! Unfortunately I cannot reproduce this on our test configurations. Could you please provide a URL with your product catalog so I can see what’s the problem? What theme are you using?